Etsy is an online marketplace where hundreds of thousands of creative people from more than 150 countries sell their handmade crafty goodness. Each week, we’re featuring a handful of our favorite items in our Etsy Roundup. On the menu this week: Fun vintage items for your home. 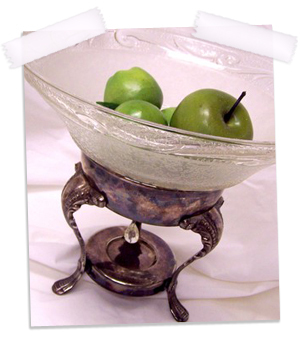 This incredibly creative repurposed vintage glass lampshade and tarnished silver decorative bowl is a great conversation piece for your home. At $32, it’s also a very affordable one. Seller ACollectibleCachet (find her on Twitter) paired a vintage glass lampshade from the 1940s with a vintage silver chafing dish base for a unique piece. 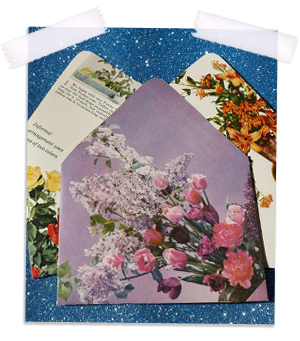 Etsy seller adnagam (find her on Twitter) literally took the pages out of a 1970s Better Homes and Gardens floral arranging book to create these handmade vintage envelopes ($5). The set would make a great gift, but would also be a fun decorative addition to your desk. 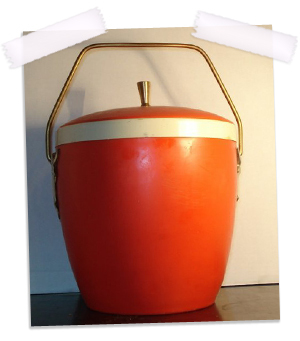 Whether you’re having a party and looking for a fun piece or want to add something unique to your kitchen decor, this vintage orange retro ice bucket is perfect. Etsy seller AntiquesGaloreGal (find her on Twitter) suggests you even use it as a cookie jar or treat container. For $22, we think you’ll find a great use for this super-cute retro piece. Looking for a fun and unique vase for your fresh flowers this summer? 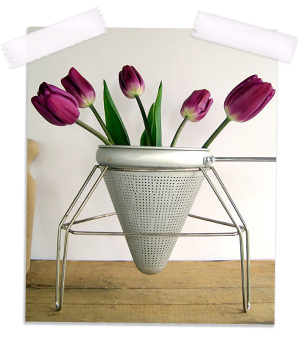 Check out this vintage farmhouse metal colander and stand ($34). The colander can easily be turned into a water-holding item (versus a water-straning one!) by placing a jar inside. Offered by Esty seller Bird In Hand Vintage (find her on Twitter), this was once used for canning purposes. If you’re looking for a unique way to add a little decor to your table, take a look at these white milk-glass stick candlestick holders ($18). Etsy seller Vintage Eye (find her on Twitter) isn’t certain of the name of the pattern, but who cares? 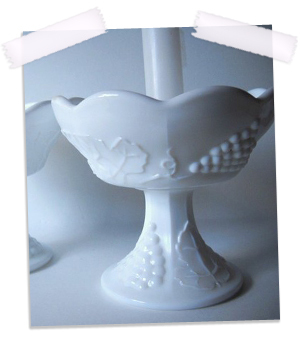 The candlestick holders have a grape-and-vine pattern and would make perfect additions for the right home. Need a cool decorative piece for your office or den? 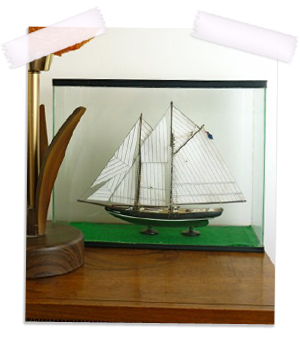 Check out this vintage sailboat glass display ($68). Offered by Etsy seller Jess James Jake (find her on Twitter), this cool decorative piece is just the right size to add a little something to your den or office space.